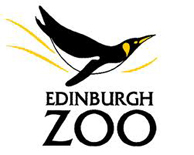 If you find yourself at Edinburgh Zoo, and you can tear yourself away from the pandas, we heartily recommend heading to the Rainforest Room in the Education Centre for a fantastic exhibition called ‘Animals Beyond the Call of Duty’. The exhibition aims to tell the story of animals in war, and includes two very close to Birlinn’s heart. Bamse was a St Bernard dog who served aboard the Norwegian mine-sweeper Thorodd during WWII and became a global mascot for the Royal Norwegian Forces and a symbol of freedom and inspiration for Allied troops throughout Europe. He was a familiar and much-loved sight around his adopted home of Montrose, shepherding his fellow crew members home after nights out, travelling on the local buses and even intervening to save a man overboard and a victim of a robber. In 2006 a statue of Bamse was unveiled in Montrose and his life story was told in Sea Dog Bamse: World War II Canine Hero by Angus Whitson and Andrew Orr. Just as brave and cuddly as Bamse, if even larger, was Wojtek, a 500-pound cigarette-smoking, beer-drinking brown bear who was adopted as a cub by the Polish Army in Iran also in WWII. He became an enlisted soldier so he could accompany his comrades onboard ship to Italy - bears weren’t allowed on boats - but he did more than just keep morale up with his cute antics. During battle, and under fire, Wojtek carried heavy shells to the soldiers operating the guns without flinching. After the war Wojtek joined other Polish exiles in Scotland, finally retiring to Edinburgh Zoo where he never failed to get very excited at the sound of Polish being spoken. Aileen Orr, whose grandfather met Wojtek on active service, tells his remarkable story in Wojtek: Polish War Hero. 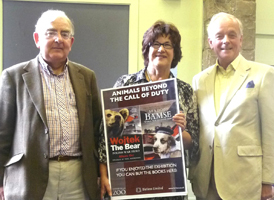 Aileen, Angus and Andrew all took part in a special event to launch the exhibition, talking about Wojtek and Bamse and their lives. The exhibition itself is kindly sponsored by the Royal Norwegian Consulate General to celebrate the links between Scotland and Norway and the 40th anniversary of a penguin at the zoo, ‘Colonel-in Chief’ Nils Olav, being adopted by the Norwegian Kings Guard. It runs until 31st August, and copies of Sea Dog Bamse: World War II Canine Hero and Wojtek: Polish War Hero are available to buy at the zoo. The ‘literary Banksy’ has struck again! Over a period of eight months last year, ten intricate and beautiful sculptures crafted from books were left in libraries, museums and even at the Edinburgh International Book Festival anonymously. Each bore a label thanking the venue for their work, “in support of libraries, books, words, ideas”. A book about the sculptures, GiftED: The Tale of 10 Mysterious Book Sculptures Gifted to the City of Words and Ideas, has just been published by Polygon, and a national tour of the works begins on Saturday in Aberdeen. 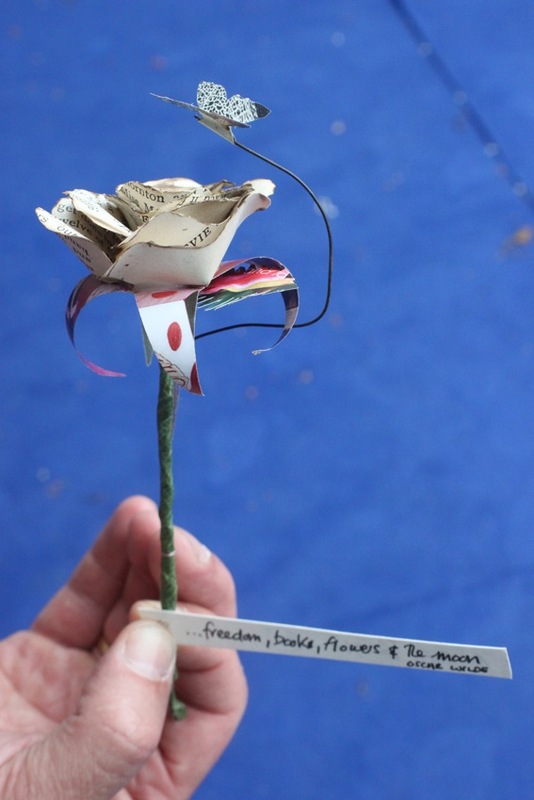 Today, however, the artist – only ever identified as female – seems to have struck again with the appearance of paper flowers at the Edinburgh International Book Festival, each carrying a line by Oscar Wilde, “… freedom, books, flowers and the moon” and on the reverse A Gift For You and a limited edition number of /50. GiftEd: The Tale of 10 Mysterious Book Sculptures Gifted to the City of Words and Ideas is available now, £9.99 hbk. Details on the tour of the original paper sculptures can be found at www.scottishpoetrylibrary.org.uk/gifted. We like it very much when people say nice things about books we publish, and we especially like it when it's an 'unprovoked' review, so to speak, from an accidental reader. "I had no real intention of buying anything," says Blurb. "I was more than happy to just casually browse the shelves. By chance, I caught site of the words ‘The Last Wolf’ and I instantly reached for this slender black book. On reading the blurb, I knew this was the perfect book for me." Find out what made The Last Wolf by Jim Crumley so perfect at blurbbookreviews. Let’s start with a very exciting event for Polygon. They’re all exciting, but it’s not every day a Polygon title is shortlisted for the Scottish Mortgage Investment Trust Book Awards Book of the Year! Aibisdh by Angus Peter Campbell was the winner of the poetry category and is now in the running for the overall Book of the Year Award, to be announced on Friday 17 August at 6.30 p.m. He’s up against Ali Smith, Janice Galloway and Simon Stephenson, and the winner is decided by public vote. Click here before midnight on 6th August and then click here to buy your ticket for the event. Good luck Angus Peter! Gardens were made for poetry and Charlotte Square abounds with it during the Book Festival, to the extent that you will find not one but two Scottish Poets Laureate courtesy of Polygon. Edinburgh’s Makar, Ron Butlin, will be reading from his brand new collection of The Magicians of Edinburgh at 8:30pm on Saturday 18th August. Scotland’s Makar Liz Lochhead makes two appearances this year. On Wednesday 22nd at 4.30 p.m. she will be reading from her recently published selection, A Choosing. And on Sunday 19th August at 8.00 p.m. she joins Polygon stablemate and arguably Britain’s greatest living novelist James Kelman to discuss his life and work. Two giants of Scottish literature on the stage at the one time – not to be missed! Probably the greatest poet working in Gaelic today, Aonghas MacNeacail will be reading from his new collection Laughing at the Clock, published to celebrate his 70th birthday, at 10.15 a.m. on Tuesday 21st August. And rounding off this poets’ corner, Tom Pow's explores the modern phenomenon of rural depopulation through poems, essays and travelogue in his new book In Another World: Among Europe’s Dying Villages at 2.00 p.m. on 23rd August. Now, crime fiction events are always an excellent choice at the Edinburgh International Book Festival, but we think this one represents particularly good value for money. Not one, but two brilliant writers each with their own unqiue take on the genre. Barry Fantoni is the legendary cartoonist of Private Eye and the man behind E. J. Thribb (17½) and his “In Memorium” poems, but he’s now the creator of Harry Lipkin, P.I. : The World’s Oldest Detective. Riffing on classic Marlowe gumshoe mysteries, Harry might not be the fastes but he’s definitely one of the funniest private investigators around. Barry (and Harry) share the stage with two very elegant ladies of crime, Mirabelle Bevan and her creator Sara Sheridan. Brighton Belle: A Mirabelle Bevan Mystery is set in Brighton in 1951 where Mirabelle – a former backroom girl for the Secret Service during the war – is working quietly as a secretary in a debt collection agency. She’s soon putting her sleuthing theory into practice when first a client and then her boss disappear amidst gold sovereigns, dead bodies and dubious accents. Barry and Sara will be appearing together on Monday 13th August at 2:30 p.m. Sara will also be taking part in the Amnesty International readings on Friday 17th August 2012 at 5.30 p.m. in support of lesbian, gay, bisexual, transgender and intersex people across the world who have been criminalized or tortured because of their sexuality. Tickets are free for this event from the box office on the day. Fancy seeing some stars? Stuart Clark is back with the second instalment in The Sky’s Dark Labyrinth Trilogy, The Sensorium of God. 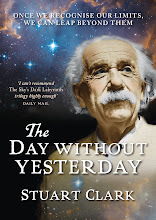 Two men - Edmond Halley, a dynamic adventurer and astronomer, and Isaac Newton, a reclusive mathematician and alchemist, could reveal the secrets of the universe. But human problems stand in the way. Newton has guilty secrets, not least his having stolen some of his ideas from fellow scientist Robert Hooke. The quarrelsome experimentalist is demanding recognition for his work but vital scientific advancement could stop dead in its tracks as the three men bicker and hold petty grudges. Join Stuart at 8.30 p.m. on Sunday 19th August to find out more! A stand-out novel of 2011 was The English German Girl by Jake Wallis Simons, a hugely moving story around the Kindertransport during WWII. Now writing as Jake Simons, his new novel The Pure is something completely different, though, as the story of a disaffected ex-Mossad agent with revenge on his mind who comes face to face with old comrades, Wikileaks, an ex-CIA female agent and a chance to topple the government which left him by the wayside years ago. Fans of Robert Ludlum’s Bourne novels will love it! Hang on and hold tight at 8.30pm on Sunday 19th August 2012. For more information or to book tickets, please visit www.edbookfest.co.uk or call 0845 3735888.